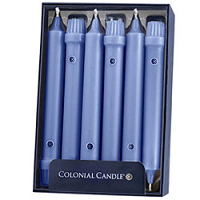 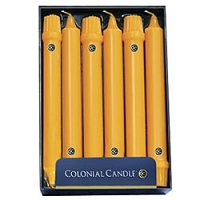 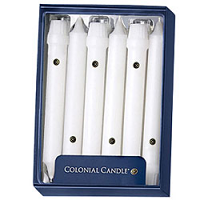 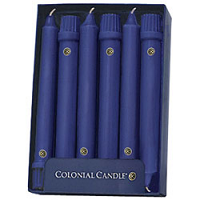 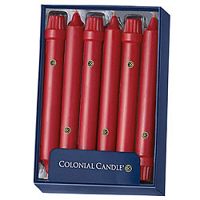 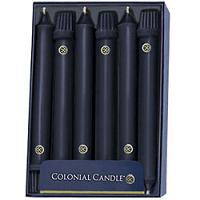 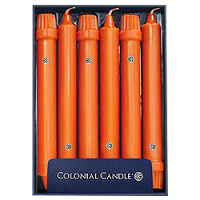 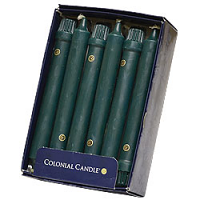 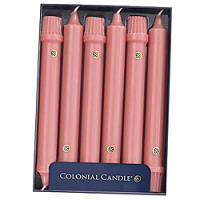 These colored taper candles are made by Colonial Candle. 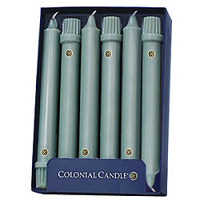 Each of these 10 inch taper candles is a solid color and made with a cotton wick. 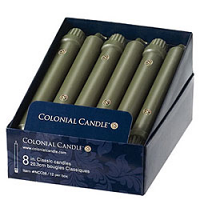 These unscented candles have a standard size base so they will fit into most taper candle holders. 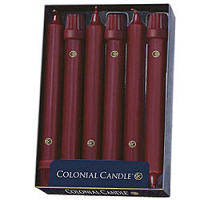 We sell these individually. 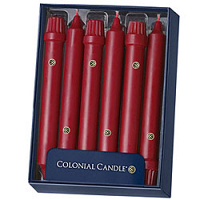 They should burn at a rate of approximately 1 to 1.5 inches per hour.